Each week I pick out one wine to highlight as my wine of the week. 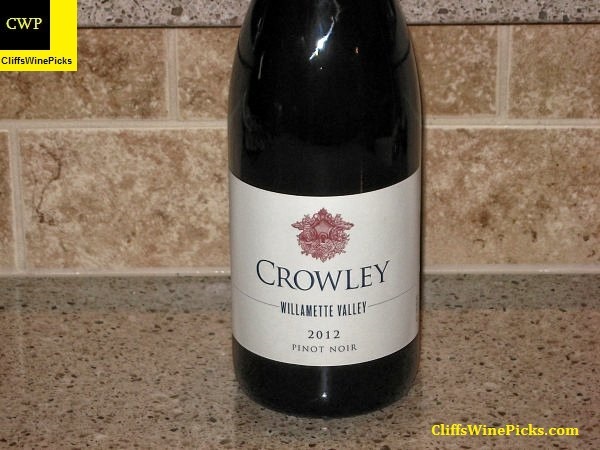 This wine may be an outstanding wine, a great value or just something very interesting. I’ve been actively buying and trying every Oregon Pinot Noir that shows up on the local wine store’s shelf. This was a new one for me when it showed up a few weeks ago. With a price of just a touch over $20, this was also an easy purchase. Oregon Pinot Noirs are a great alternative to the bigger bodied versions coming out of California. When you don’t have a chateau or castello or even a babbling brook, it can be hard to name your winery. We tossed around a few catchy names, but none of them were as timeless as the single thing we started with — our name. It was good enough for the dairy owned by our family for three generations and it suited us just fine. When we started thinking about the label, we knew we wanted a design crafted with classic elements. And in looking for an image to anchor the label we were intrigued by a cigar box that had belonged to Tyson’s grandfather, Kelly. While it now held photographs rather than cigars, there was this keyhole. So we took the box over to our friend Ben Burch, an animator and fine artist, and he whipped up a few sketches. We had found our crest. We make the wines at the August Cellars coop winemaking facility, and we get this question all the time: what’s a winemaking coop? Our winemaking coop is a state-of-the-art gravity flow winery. We even have a wind turbine (the first in Oregon wine country) that provides about 65% of the power needed at the winery. We “share” the winemaking equipment (hoppers, destemmer, bottling line, labeler, forklifts, etc.) with five other wineries. All winemaking is done independently and we have separate underground barrel rooms where we age all the wines. We’d love to show you around, so be sure to make an appointment and visit us at the winery! This wine uses grapes from four dry-farms vineyards, Tuckwilla Vineyard (44%), Four Winds Vineyard (35%), Gehrts Vineyard (10.5%) and Laurel Hood Vineyard (10.5%). 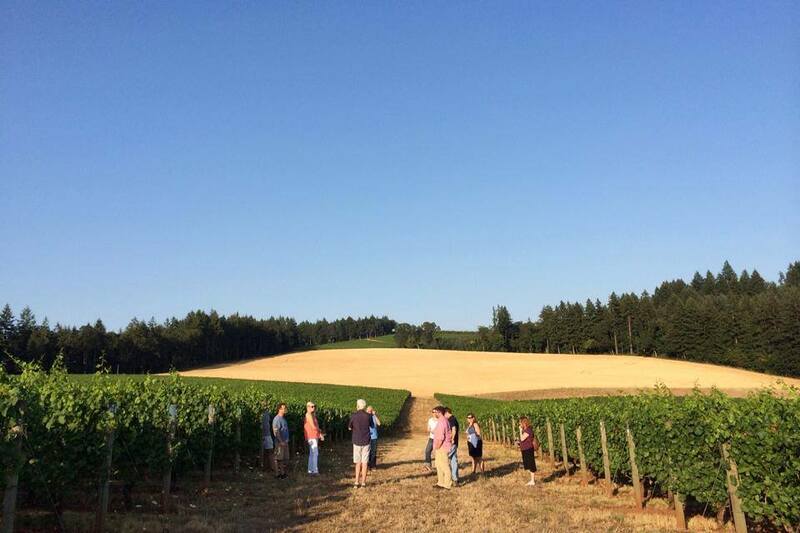 The Gehrts and Tuckwilla vineyards are in the Dundee Hill AVA, Four Winds is in McMinnville and Laurel Hood is in the Chehalem Mountains AVA. The grapes were harvested from October 5 to October 10. Most grapes were de-stemmed but about 5% whole cluster were used. After a 10 day cold soak, the wine was underwent a “native fermentation” in tank for 20 days. The finished wine was aged in oak barrels, 10% to 15% new, for 15 months. Some barrels were racked once the others were not racked. The total production was 400 cases. The wine has a suggested retail price of $24. The wine has 13.0% alcohol by volume and the bottle is sealed with a natural cork. Obviously, since this is my wine of the week, I highly recommend tracking down this wine. The great price would make this a good candidate to buy a few bottles so you can follow its evolution over the next few years. Sounds delicious. I’ll keep me eyes peeled! This is a good one Michelle and a great value. I’ll be getting more.